Keeping Up With The Joneses: Awards and Such! The end of the school year means field trips, field days and awards for the kiddos. 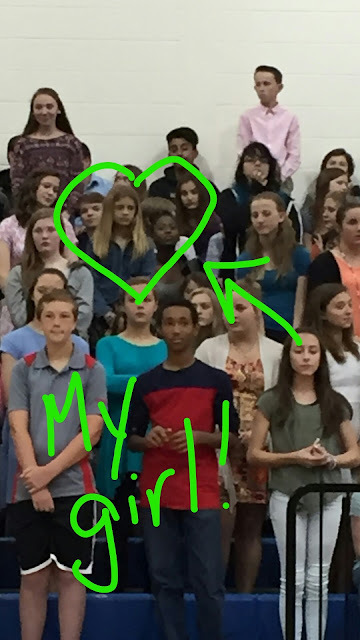 I didn't get to go to Sydney's award ceremony because it is an invite only type of deal since they have so many 7th graders. Sydney didn't get an award per say, but she was recognized for having all A's and B's all year. Not too shabby for taking advanced classes while keeping up a demanding soccer schedule. Well done Sydney! I am thankful for my friend Erika texting me this photo of Sydney standing when they called her name. She looks thrilled doesn't she?! 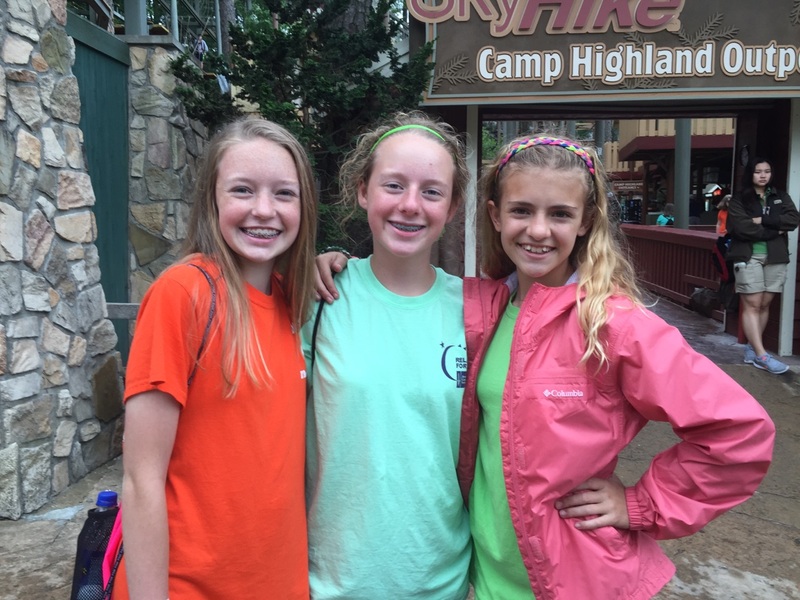 The last week before finals Sydney went on a field trip to Stone Mountain with the entire 7th grade. Thank you to my friend Starla for sending this cute picture of our girls. These girls play soccer together and have dubbed themselves "The Blonde Bunch" (Kiley, Morgan, Sydney). The field trip was a little rainy, but she had a blast and is already asking when we can go as a family. Next up we have Bryce. He ended up missing his field trip to Zoo Atlanta because he got strep, which was a big disappointment for him. Thankfully he was all better and ready to go for field day. God bless PE teachers and teachers because that whole event seems like a lot of work. This is Valentina and she is adorable! Bryce and her have been good little friends since kindergarten. A few days after field day came Bryce's Awards Day. Bryce is doing fantastic academically. He excels at math and reading and also got a writing award. He also received the National Physical Fitness Award. Now if we can just get this kid to stop talking and stay in his seat we would be smooth sailing! A goal to set for next year I guess. Haha! Last but not least we have Miss. Jordyn. Sadly Jordyn had to miss her field day because she was sick. She was down for a few days and then better and then down again. Turned out she had strep and she was miserable. Thankfully she was back to her healthy self for Awards Day and the last week of school. Let me just tell you guys...this girl killed it! The morning started off in their homeroom class. Jordyn's classmates voted her the "Most Intellectual". When she went up to receive her award she asked, "What does intellectual mean?" Ha! Not only is Jordyn smart, but she is pretty witty so I am not sure if she was being serious when she asked that or if she was trying to be funny. She pulls that type of stuff all the time, but none-the-less she had the entire room full of parents laughing. "What does intellectual mean?" I think she has her stinker face on here. 1. She received the Presidential Fitness Award, which isn't easy to earn. 2. She was 1 of 5 students (the only girl) who received all A's all year. WOW!! My girl is not only sweet and funny, but smart and sporty too. Jordyn is such a hard worker and has a heart of gold so it goes without saying that I could not be more proud of her.